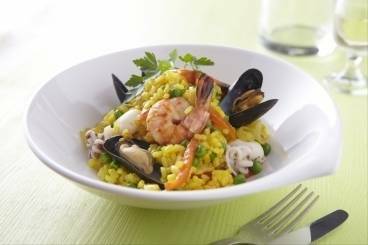 Discover our fantastic selection of Seafood Recipes and Cooking Ideas all written by our expert professional chefs at L'atelier des Chefs, based in London. 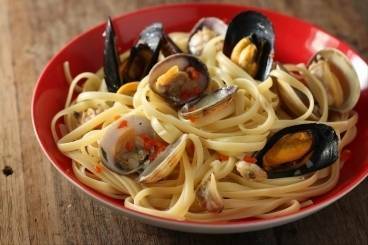 Linguine pasta cooked with mussels, clams, chilli and white wine. A wonderful summery seafood dish of sea bass with tasty fresh clams. 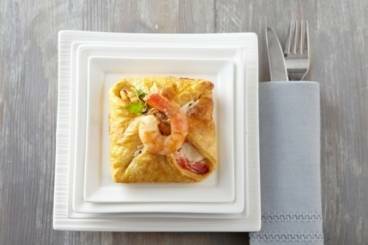 Crisp puff pastry parcels filled with mussels, squid, prawns and a homemade bechamel sauce. Pasta cooked in a seafood and saffron stock served with prawns, mussels and cockles. Spanish seafood stew with smoked pork, squid, mussels, prawns and fennel. Prawns, scallops and salmon in a white sauce topped with home made shortcrust pastry. 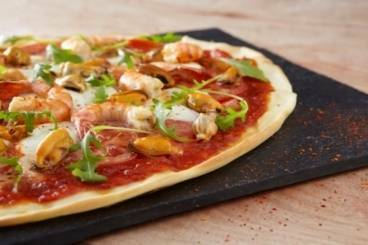 A seafood pizza with a topping of mussels and king prawns. Poached Lobster, Dressed Crab, Oysters, Cured Salmon, Prawns and Mussels served on crushed ice with a selection of sauces. You will learn to prepare, cook and dress crab and lobster, shuck oysters, cure salmon, prepare prawns and mussels for serving over ice for a decadent feast. Garniture will include; Sauce Mignonette, Rouille and Seafood (Cocktail) Sauce.